Really absorb these word choices. Feel what it’s like to hear these as a home owner. The words on the right carry more confidence, more assurance. They’re more definite and less wishy washy. You see, by using the right column words, you are not just speaking differently, you are making definite promises with language which affects your behavior as a service provider, making you actually provide better service. Attitude, which is usually reflected with words, is a powerful thing. It actually changes outcomes. Attitude, which is usually reflected with words, is a powerful thing. It actually changes outcomes. And in this case, part of that changed outcome is a customer with immense respect and admiration for the professionalism in their work. So why do service techs use weak words? Because they’re afraid that if they’re really specific and the diagnosis or the result doesn’t turn out to be exactly what they stated, then they’ll be in massive trouble later. This is not the approach to take if you want to build confidence and strong customer relationships. There’s a bunch of words that service professionals use way too much, to their own detriment, and I call them “wild words.” Like Tasmanian Devils from the Bugs Bunny cartoon, wild words can take on a life of their own, creating unnecessary damage and loss for us. One wild word is the term “problem.” Don’t tell the customer “There’s a problem with the pipes.” Say “We have a fault in the system.” The word fault naturally leads us to the word system, which is an incredibly important word to us in the service trades. Whether you’re in electrical, plumbing or HVAC, there are just a few technical systems. Mentioning them when speaking to the customer about their needs is a tremendously effective method for imparting value and assurance of expertise to the work you do. Do not say “You have a broken outlet,” which you know and I know might actually cost $1.29 at Home Depot. Instead, say “We have an electrical fault in the voltage distribution system.” This description accurately describes the problem. Eliminate the use of the parts in discussion. Here’s a cardinal rule: it’s not what the parts ARE, it’s what the parts DO. Offering the customer meaningful technical knowledge as opposed to talking down to them with manufacturing warehouse part numbers. Instead of being a service tech or a salesman, you become a system engineer creating solutions. Did you know that there’s only 5 kinds of faults, total, and all customer issues should be described as being one or a combination of these 5 faults? If a customer Googles the simple version of parts they need replaced, they’ll find a $6.29 item down at Ace Hardware. However, if they Google the alternate terms using the word “fault”, the results might include the nearby engineering or manufacturing firm. This makes the work you do come across as a higher value. Using verbal packaging and having these kinds of interactions with customers is a pretty neat way for you, as a residential service professional, to go out and make a living. 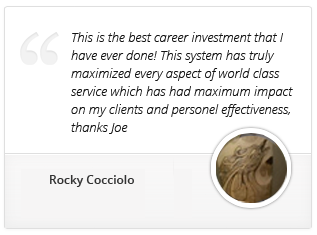 It also happens to generate higher revenue than anything you’ve experienced. Joe Crisara is “America’s Service Sales Coach.” He is an educator and entrepreneur and is the CEO of ContractorSelling.com, Total Immersion Service Summit and the new field service software, Jobi at www.jobi.pro. Email Joe at joe@contractorselling.com for his FREE Verbal Packaging Dictionary. 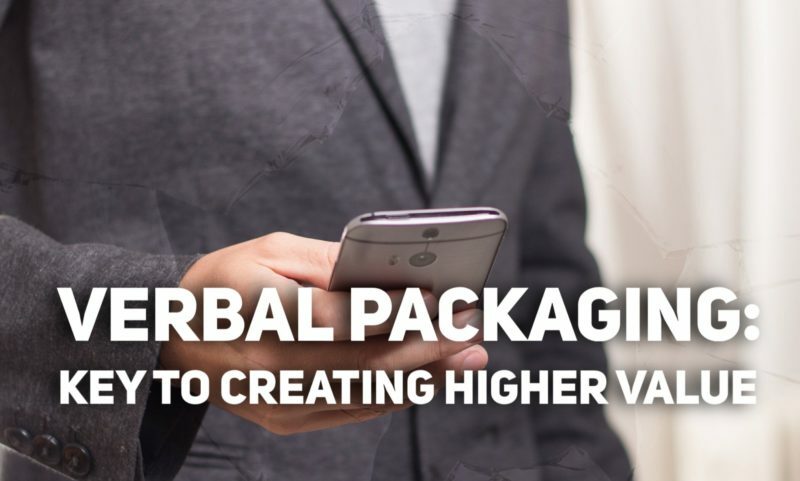 Read the full article in Contracting Business here: http://contractingbusiness.com/contracting-business-success/verbal-packaging-key-creating-higher-value.